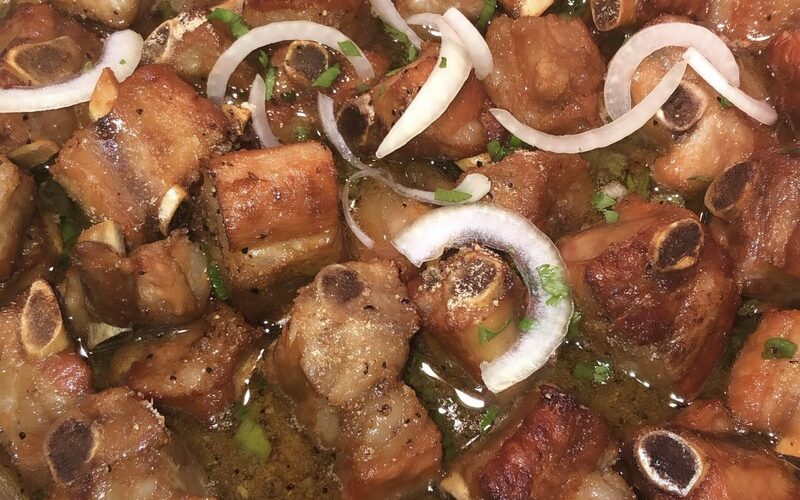 Fill a small pot with WATER enough to cover the spare ribs and 1 teaspoon salt. Bring the POT of water to a boil then add in the pork spare ribs. Cook for about 5 minutes. Now drain the spare ribs and wash all the impurities off the ribs and the POT. 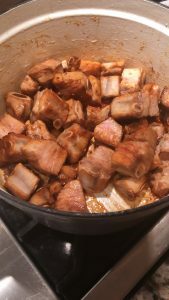 While you are waiting for the pork to marinate…make the caramelized sauce. 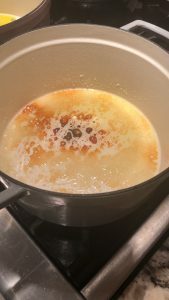 In the pot add the 2 tablespoon sugar and 2 tablespoon oil and stir….KEEP YOUR EYES on the pot and stir!! You don’t want to BURN the sauce because it will be very BITTER!! You want a nice dark golden color. 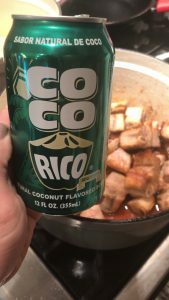 Once you reach the color you want…add in SLOWLY the marinated pork ribs. 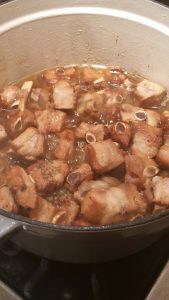 NEXT, stir the pork ribs so it EVENLY coats the caramelize sauce. Giving the pork a beautiful dark amber color. 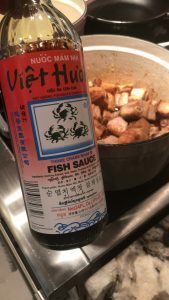 Once the ribs are mix evenly in the caramelized sauce…add in 2 tablespoon fish sauce and stir. Cover the pot with a LID and turn heat to medium LOW. 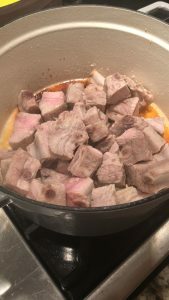 Let the pork cook for about 30 minutes. Occasionally stir the pork. After 30 minutes…REMOVE the LID and turn heat to low sim and let it simmer for another 30 minutes. 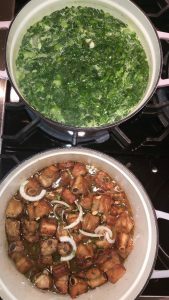 Garnish with sliced green onions or sliced white onions and crack black pepper…SERVE with BIG BOWL of WHITE RICE.